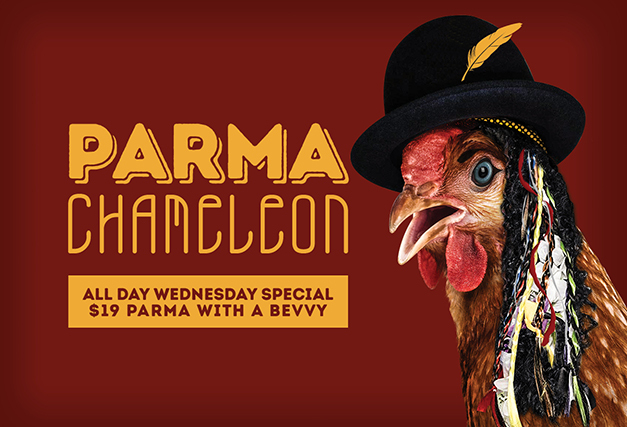 Flock on down to The Hen for Wednesday’s Parma Chameleon. Enjoy our classic chicken parma or one of the rotating specials. Paired with a pint of Swan or glass of house wine for just $19! Book now to avoid the hump day blues.